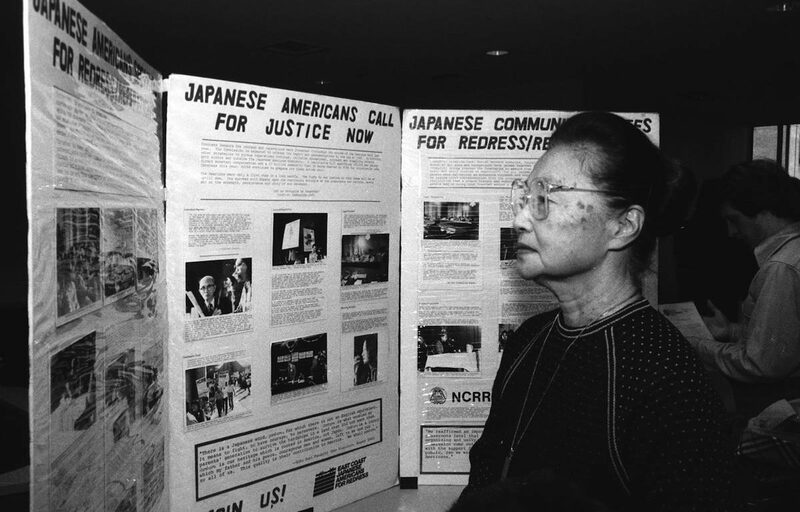 Saturday, February 24 from 1:00 p.m. until 4:00 p.m.
For nearly 30 years New York’s annual Day of Remembrance Program and Community Potluck has commemorated the forced evacuation and incarceration of the Japanese American community during WWII. In addition to marking the 76th anniversary of President Franklin D. Roosevelt’s signing of Executive Order 9066 – which paved the way for targeting Japanese Americans as threats to national security and gave the U.S. military the right to send anyone of Japanese ancestry, including American citizens, to concentration camps – this year’s event commemorates the 30th anniversary of the signing of the Civil Liberties Act of 1988, the legislation that provided a formal apology from the U.S. government and monetary reparations to survivors of the forced evacuation and mass incarceration. Event organizers will pay special homage to the Redress and Reparations struggle and New Yorkers’ contributions by reading community testimonies throughout the program. Special guests include Albert Fox Cahn, Legal Director of CAIR-New York; Omar Farah, Senior Staff Attorney at the Center for Constitutional Rights (CCR); and Juan Carlos Ruiz, Co-Founder of the New Sanctuary Coalition of New York City. These speakers will highlight current struggles faced by immigrants, Muslims, and others targeted by racial profiling and government policies. The program will also feature a discussion about the Stop the Fence at Tule Lake Campaign and the upcoming pilgrimage to one of the most infamous camps of the time. This event is co-sponsored with JACL – New York Chapter, JAANY (The Japanese American Association of New York), Japanese American National Museum, and JAJA (Japanese Americans and Japanese in America). Preceding the Day of Remembrance Program will be a Silent Peace Walk from 11:00 a.m. until noon. 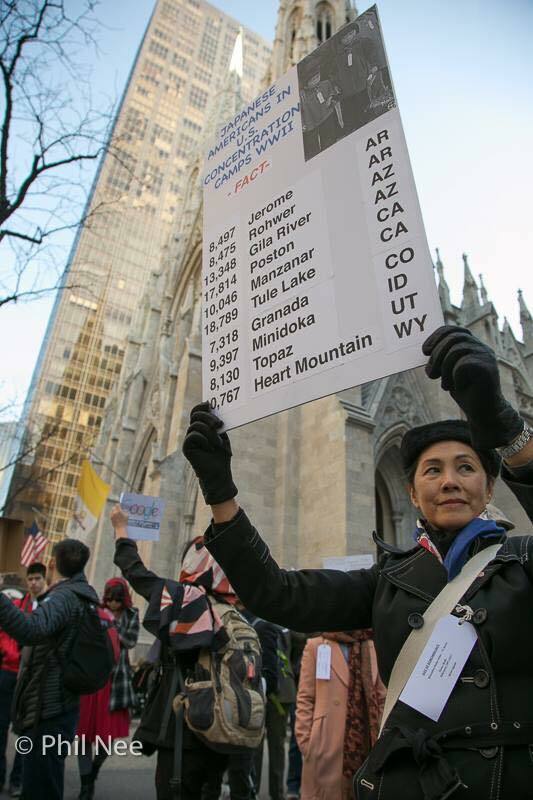 Starting at Trump Tower and winding through the streets of Manhattan to the Japanese United Church for the NY Day of Remembrance Program, the Silent Peace Walk draws parallels between the WWII forced removal of Japanese Americans and the actions being taken currently against Muslim and immigrant communities in New York and across the United States. Participants in the Silent Peace Walk will wear WWII period dress and walk silently, re-enacting the way in which 120,000 people of Japanese descent evacuated their homes and communities along the West Coast during WWII.